As a Machine Learning Engineer, you’ll work on code that improves experiences for riders, driver-partners, and operations teams around the world. Our team works on every aspect of Uber’s business, from ridesharing to food delivery to self-driving cars. We’re building maps that help move millions. We’re working on messaging systems to improve global collaboration. We’re building systems that process thousands of payments per second. Join us as we work together to solve some of the today’s most interesting computer science and analytics problems. Machine learning domain knowledge—bias-variance tradeoff, exploration/exploitation—and understanding of various model families, including neural net, decision trees, bayesian models, instance-based learning, association learning, and deep learning algorithms. You follow a strong adherence to metrics driven development, with a disciplined and analytical approach to product development. You have experience presenting at industry recognized ML conferences as well as being published in the field. You have experience in stream processing—Storm, Spark, Flink etc.— and graph processing technologies. Additionally, Uber has a variety of roles and teams for you depending on where your interests match best. High performance systems - Experience with building high performance distributed systems that can scale to 100,000s QPS. Core Infrastructure - Experience with developing and running large scale distributed storage systems, service oriented architectures, and reliable monitoring and deployment infrastructure. Machine Learning - experience with machine learning, information retrieval, algorithmic complexity, data mining, pricing, optimization. Geospatial - Familiarity with geospatial datasets and services, such as maps, local search, points of interest and business listings data, mobile device location and GPS traces. 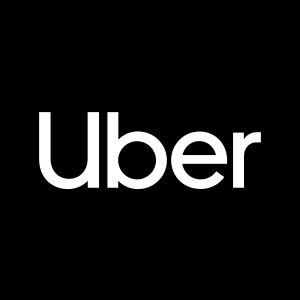 Learn more about Uber Technologies, Inc.
Are you looking for your dream job? In Office. Flexible. Remote.